Senior living is an industry that knows the value of scale. Contrary to popular belief, smaller organizations have an advantage- now more than ever — over the mammoth hundred — community providers that seem to dominate the market and the media, industry experts say. More than 60% of the market comprises providers that operate fewer than 10 communities, says Deborah Howard, CEO of Senior Living SMART, a web based resource focused on independent owners and operators. Despite this, the top- 20 providers garner most of the attention, announcing mega mergers, rolling out national ad campaigns and partnering with real estate investment trusts (REITs) to gain access to operating and growth capital. Scale undoubtly provides a number of benefits for owners, operators and shareholders. Namely, more resources, cost savings and investment opportunities. However, “going big” also comes with its fair share of challenges. In July 2014, Brookdale Senior Living completed its $2.8 billion merger with Emeritus Senior Living, creating a combined company that now operates more than 1,100 communities in 46 states, covering roughly 80% of the US population. 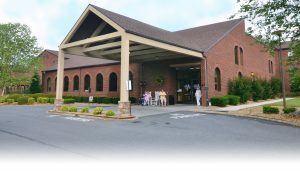 However, in its third-quarter earnings call last year, Brookdale acknowledged the interegration of Emeritus communities has created significant challenges for the provider, which have led to a disruption in sales activities, lead conversations and occupancy levels. As a part of the integration, 500 employees took on new responsibilities and new reporting relationships, which also generated disruption, said CEO Andy Smith at the time. pany that now operates more than 1,100 communities in 46 states, covering roughly 80% of the US population. So as Brookdale- and other big players- struggle to control scale, a window of opportunity is open for smaller providers, who bring their own unique benefits to the table.